How To Improve Your Online Ranking With SEO? According to statistics, 82 percent of marketers using SEO acknowledged that its incorporation was effective in selling the brand. Out of this percentage, 61 percent of the marketers claimed that search optimization was their key priority. So what is the fuzz about SEO and business performance? Well, search engine optimization is an analytical tool that is used in ranking results in search engines. Now this implies that businesses wishing to appear frequently and attract more traffic should obtain a higher ranking on the web page. What SEO does for business is that it displays keywords, descriptions, phrases, and tags that will alleviate the ranking of the website on the search engine. 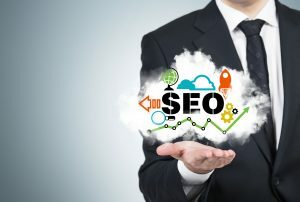 In order to acquit ourselves with the dos and don’ts in the optimization process, we are going to expound on the integration of SEO in business. With the growing demand for SEO services in the marketing world, it is common to come across misleading facts and information. For instance, the optimization tool entails the use of keywords, phrases, and words that are sync with search engine algorithms. It is anticipated that firms and marketers conceptualize the questions they expect their customers to type in. Once identified, the developers can input the words in the keyword research tool to showcase related results. In case of further guidance, it is recommended that you outsource qualified SEO experts. When creating a website it is advisable to have it featured in all the three search engines (Google, Bing, and Yahoo). This attracts more organic results by reaching out to all users accessing the platform. Apart from this, it is fundamental for marketers to have a local page for their businesses. This will be used to showcase the direction and location of the venture. Furthermore, having a local page will redirect more traffic to the website resulting in better conversion rate. After coming up with a local page, the next step is to configure the Universal Resource Locator (URL) to feature keywords on the content available. This will easily inform the algorithm of the content available on the web page or website. For a serious marketer, it is prudent to make sure that the heading tags lie between H1 and H6. Commonly, H1 is used for topics and H2 for subtopics with the rest coming up in longer texts. Failure to use the heading tags leads to penalization by Google due to over- optimization. When it comes to meta-descriptions, SEO experts emphasize the importance of observing the protocol so as to improve visibility. Now, this is ignorant of the fact that it misses out in parameters of internet ranking. Basically, the description aids in giving a higher index when certain keywords are typed on search engines. As it stands, there are over 1.8 billion websites on the Internet with each competing to garner as many users as possible. With this in mind, it is important to highlight that online marketers should be familiar with the category the business falls under. For the local pages, there are between two and five categories available for most products and services. It goes without saying that falling into a wrong group will lead to loss of users. As for users accessing Google, the search engine offers assistance through Google analytics, Google search console, GOOGLE trends and PageSpeed Insights. Moreover, hiring the best SEO experts is encouraged especially where there is uncertainty in the best fit category. SEO experts will tell you this free, “Input related links in your content”. Since the main aim is to better the conversion rate and rankings, it is important that you include content that is associated with the business. This serves to give more insight into the product and services offered, thus driving more traffic to your web page. In any marketing platform, the common trait is that of the competition between business operators. Since this is the case, the algorithm used in the formulation of SEO allows for the best developer to rank highly in the search results. To further improve the ranking, it is recommendable that the website pops out often when different queries are searched. You should realize that the higher the number of times your website appears on the search engine, the more trust you earn from the users. For those who are unaware, there are some users who go beyond clicking the website with the desired content but re-enter different queries to test the credibility of the website. So make sure that your business description meets the guideline given by Search engine optimization. Aside from increasing the traffic, SEO services enable firms and business to evaluate the needs of the customers. This is facilitated by attainable information search as the language used, search engine used, on-peak and off-peak of access, most frequent days the website is searched and the technology used. This is crucial information as it enables you to change, update and reform some of the services so as to meet customer demand. At the end of the day, the goal is to have satisfied clients thus the essence of adopting SEO analytic tool. Is SEO a one-time analytic tool? No, it is not. When it comes to search rankings, there is no definite listing due to the dynamic nature of the Internet. In simple terms, businesses need to frequently use the tool to remain relevant and steps ahead of the competition. It is hopeless to say that optimization is a one-day affair as it dawns on you that there are changing trends in the market. Before coming to terms, the company will have slipped some steps back. It is common knowledge that there are small-, medium- and large-scale companies or businesses. In most cases, these groups are placed differently in terms of preference and choice. However, when it comes to SEO, anything is possible as small enterprises can outdo mega companies. Is this realistic? Yes, it is with in-depth know-how on maximizing SEO for business benefit. The power likened with SEO is so great in that a large marketer may spend heavily on the wrong optimization and be overtaken by minor business. Furthermore, a higher edge on online traffic is no mean achievement as it will definitely lead to more customers and sales. Any step taken in a business environment has to be evaluated to determine whether it is lucrative or not. It’s been proven that Search Engine Optimization deliberates better ROI than conventional marketing strategies. Interestingly, this is accomplished without causing interruptions or disturbance like TV and YouTube ads. The only requirement is for users to type in the query and click on the website which delivers the related information. Additionally, this can be easily monitored by checking the number of users logging to the website. With over 6.5 billion active users of search engines, it is undisputed that there are immense prospects in ranking high on the platform. One of the main benefits is having your brand recognized worldwide. By appearing at the top of search results, it is clear indication that more people trust the brand and will reciprocate in more traffic. So do not make a mistake of overlooking the vitality of SEO especially for small businesses endeavoring to make it to the top. From the context elaborated above, it is crystal clear that Search engine optimization is a crucial element that cannot be ignored in the current web dispensation. 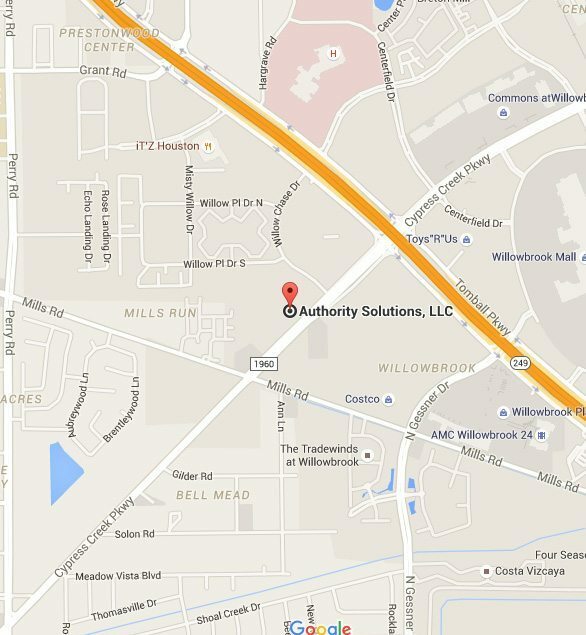 To learn more how an SEO can help your business grow and become the Authority in online ranking, contact Authority Solutions™ now and speak with seasoned SEO experts!